Disneyland has released a video of several characters from rides including Pirates of the Caribbean and The Haunted Mansion singing For the First Time in Forever to celebrate Frozen coming to the park. 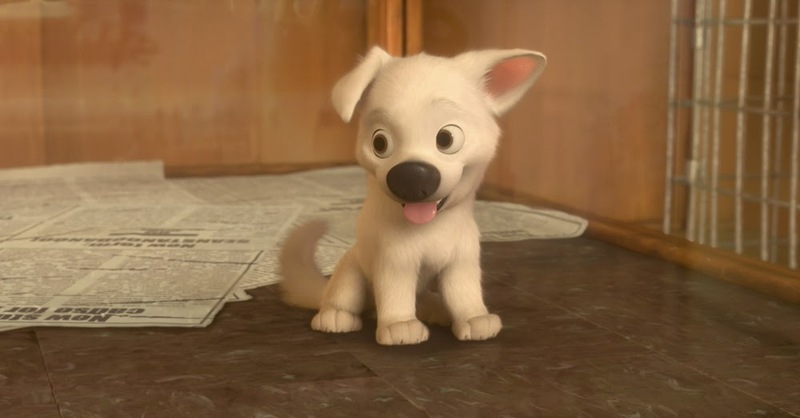 Oh My Disney has ranked all of the Disney dogs from cute to cutest. Now your milage may vary on how exactly these dosg should rank but fair warning, Doug from up is on the list, yet somehow does not come in at number one. Full list here. After the live action version of Cinderella comes out later this year, (and the Jungle Book next year,) Disney's next live action remake of one of their animated classics is going to be Beauty and the Beast. It has been announced that Emma Watson, famous for her role in the Harry Potter movies, will be playing Belle in the live action film. No release date for the movie has been announced yet, but it is said that the movie will start shooting later this year. That's all for this week, see everyone in February! Disney's latest movie Big Hero 6 will be released on Blu Ray and DVD on February 24th. To help celebrate that Disney has released a teaser of one of the special features that will be on the DVD, a video that points out all of the Frozen references that the animators hid throughout the movie. Check out the video below. Finally, Disney has announced the release dates of two of its upcoming, live action movies. A live action adaptation of The Jungle Book, directed by John Favreau is scheduled to be released on April 14th, 2017. Also before that, a live action remake of the 1977 musical Pete's Dragon will be released next year on April 15th, 2016. Disney Magic begins its trek through the Pixar films, starting first with Toy Story staring Tom Hanks and Tim Allen. So join us through the next several weeks as we look at some of the very best computer animated films of the past twenty years. It's the first roundup of the new year everybody! 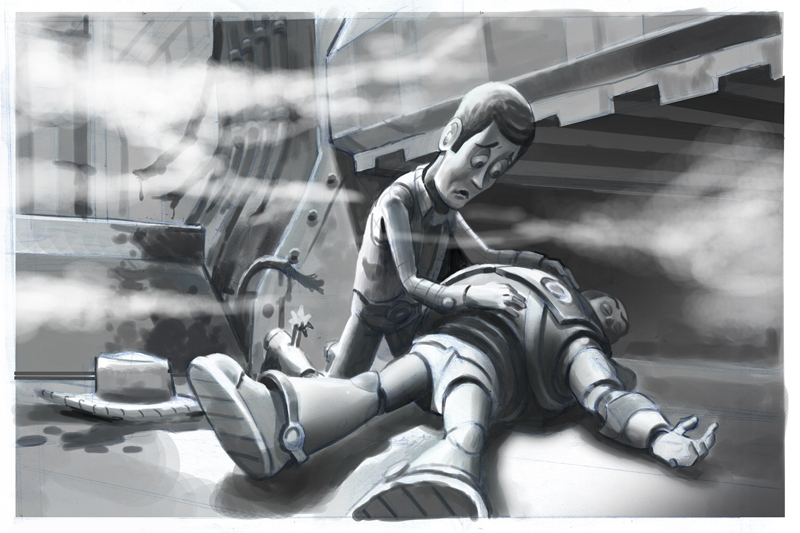 First up, there was a time when Disney was going to make Toy Story 3 without the involvement of Pixar. Eventually the two companies came back together and the non-Pixar version of Toy Story 3 was put away for good. But recently some concept art of that never to be made version of the movie was released. 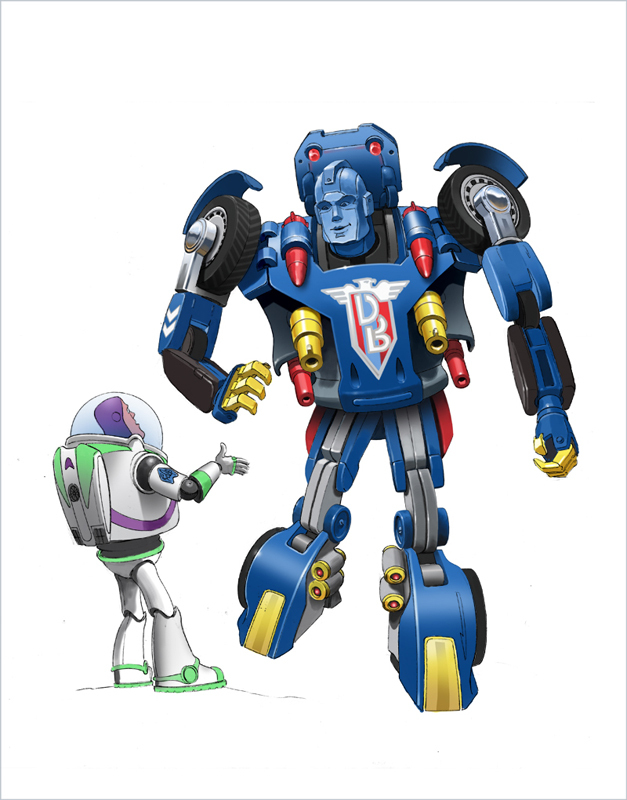 While I'm sure we're all very glad to get the Toy Story that we got, it's interesting to look at what might have been. Check out the entire gallery here. A small update on Pixar's movie The Good Dinosaur, Pixar has released a bit of concept art as well as an official logo, both which can be seen below. The Good Dinosaur is scheduled to be released in November of this year. The Sorcerer's hat at Disney's Hollywood studios will be removed starting Wednesday this week. 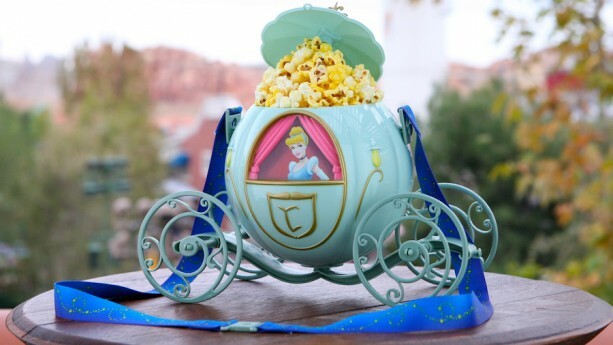 Disney has not yet announced what they expect to build in the place of the hat. The Sorcerer's hat has been at Disney's Hollywood Studios since 2001. Finally, remember that little girl who was caught on video talking to Gaston a few weeks ago? Well that same Gaston seems to have been challenged to a push-up contest and it was once again captured on video. Conclusion: Gaston is really good at push-ups.